45-60 minute stage show. 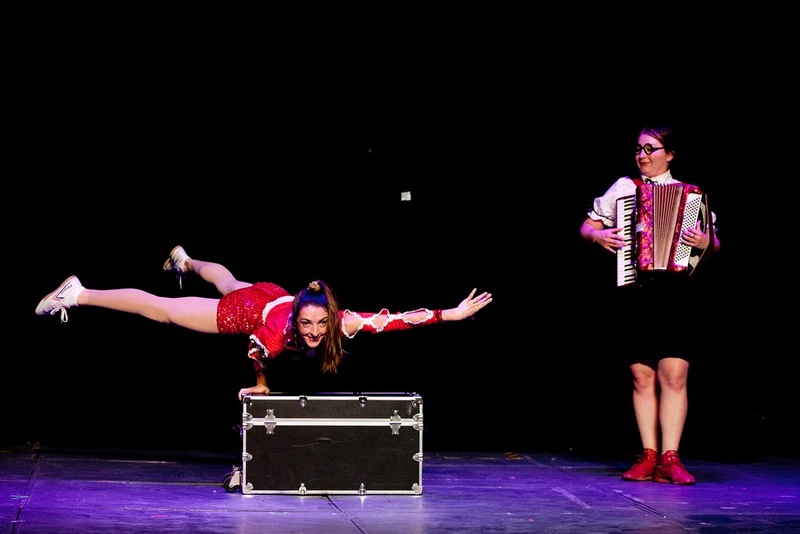 Slapstick comedy featuring live music, 1930s radio-show style dialogue, eccentric dance, and circus antics. A pair of clueless opportunists arrive to the West Coast to seek their glory and fortune in the movie business. Big Time is the boss, a voluptuous schemer wielding an accordion and a tuba. Little Something is the bright-eyed follower, the last remaining chorus girl who hasn’t fled from Big Time’s doomed entertainment company. Little Something is slow-witted and fancy-footed, she is dazzled just to be along for the ride. Inspiration was drawn from the great classic comedy pairs like Laurel and Hardy, Abbott and Costello, and Burns and Allen. Tech Needs: Minimum 3x3 meter space. Backstage wings are necessary for entrances and exits. This show has recorded sound cues and may need amplification depending on the space. Access to the audience is necessary. 45-60 minute stage show. An all ages show entirely in Spanish. Features the characters Trombolina and Carmelita in their sincere attempts to become famous. Lots of live music, dance, psychic powers and extended audience interactions. Tech Needs: Minimum 3x3 meter space. Can be performed outside, with no backstage wings. This show has recorded sound cues and may need amplification depending on the space. Access to the audience is neccesary. Can be anywhere from 10- 60 minutes. Perfectly adaptable to children’s parties or adult shindigs. Features Luz on accordion (as well as kazoo, paddleball and trombone) with Molly on ukulele and comedic side instrumentation such as triangle. Can include a Rolla Bolla act, acrobatics and a samba spectacle. This is a very flexible show which can be adapted to fit most any venue, theme (1920’s, Carnaval, Russian, Mexican, Country and Western) or amount of time. Our best seller. Tech Needs: Adaptable to any space. May need amplification. 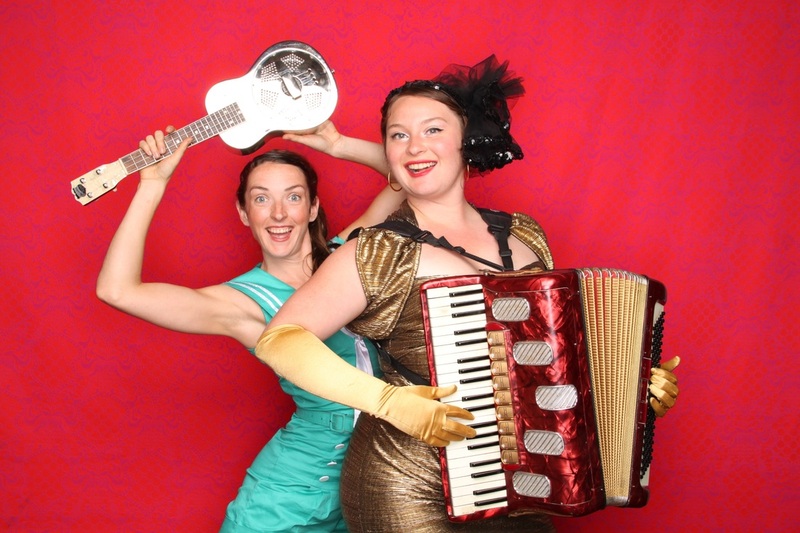 Duo Finelli has many acts that fit perfectly into a variety show setting, ranging from an inept medicine show, to historically innacurate reenactments of American history, to evil puppets running for political office, as well as the standard samba and accordion spectacles. Samba Spectacle by Molly. Solo samba dance, featuring traditional Rio style costume (or more conservative sequin shorts). Feathers and sparkles. This set usually consists of a solo dance, followed by an audience conga line and dance circle. Additional dancers from Aquarela Brazilian Dance Ensemble are available on request for SF Bay Area shows. Carnaval no Rio chegou! Accordion Accordion Acordeón Luz is available to play all types of accordion music, anywhere, anytime, anyplace. 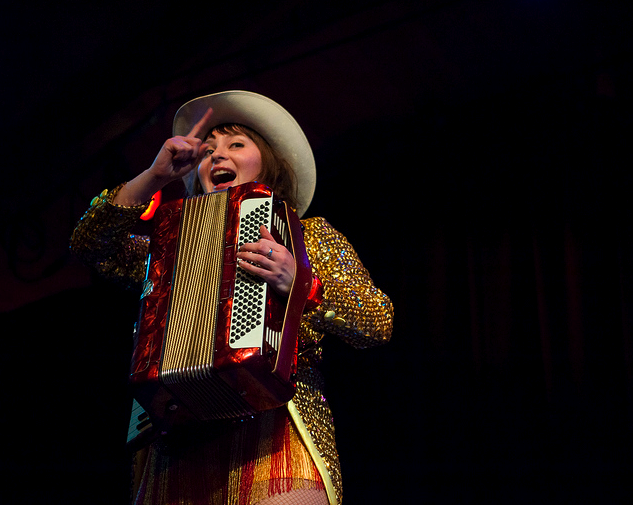 She is a flexible performer, with music to compliment champagne brunches, childrens' extravaganzas, or rowdy music halls. 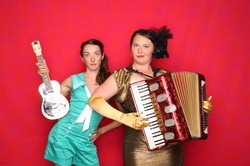 Duo Finelli performs interactive stolling entertainment tailored to individual events. 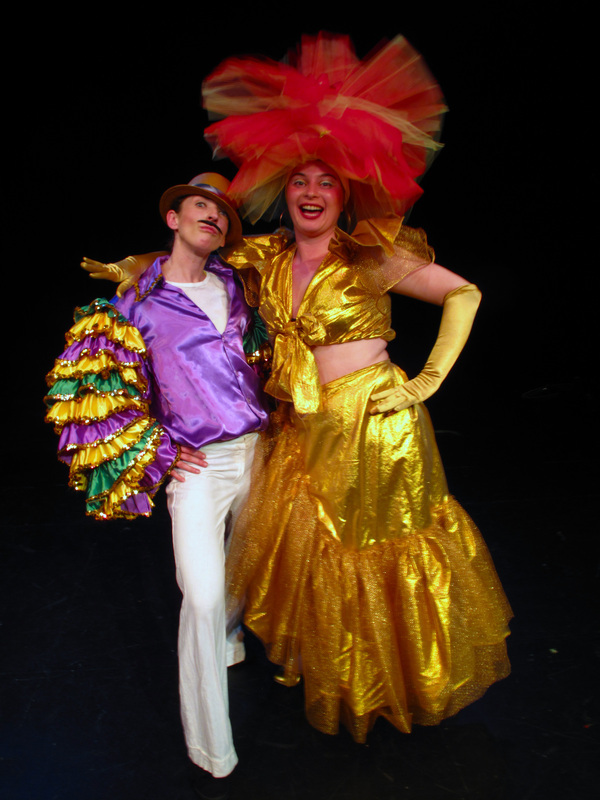 We have a variety of characters and costumes to fit your event's theme. Strolling entertainment can include music, acrobatics, hula hooping, dance, and more. Walk around Clowns: Can stroll as a classic physical comedy team. Strolling Musicians: Most of the same material as what is in the musical show, but can done while mingling at an event. Features lots of impromptu serenades, parades. Solo Accordion: Luz on accordion, music to suit any mood or theme. Characters: Can stroll as any number of engaging characters. Other services include: Master of Ceremonies, personal soundtrack, sambagram, singing telegram, extreme fortune telling, games facilitation, workshops, mime, parades, puppets, medicine shows, comedy motivational speeches, and monster attacks. 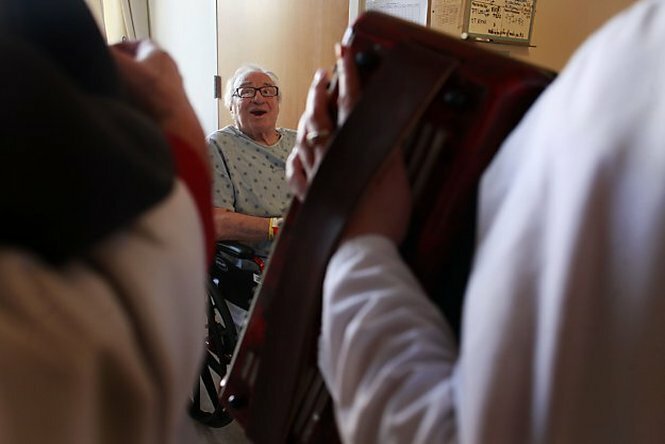 Luz Gaxiola and Molly Shannon of Duo Finelli perform room to room visits as well as shows for groups in medical or elder care facilities. Each has worked in San Francisco with the Medical Clown Project. Experience includes shows for populations with dementia and alzheimer's. Specially designed shows include interaction with the audience, encouraging them to move and engage to the extent they are individually able.